India’s first 3G Mobile service operator Mahanagar Telephone Nigam Ltd (MTNL) today launched new special tariff pack dubbed as “Jyada Bolo Pack” for its prepaid customers in Mumbai telecom circle. MTNL’s “Jyada Bolo Pack’ comes at Rs.33 with talk time of Rs.19 as a main balance and valid for 30 Days from the date of recharge. With the “Jyada Bolo Pack”, Trump prepaid customers can now make Voice and Video calls to MTNL Mumbai and Delhi network(Mobile and Land line) at just 30 paisa for 1st minute, 20p for 2nd minute and 10p for 3rd and onwards minutes of the same call. While Local Voice and Video calls all other network of Mumbai and BSNL Maharashtra-Goa will be charged at 50 paisa for 1st minute, 40p for 2nd minute and 30p for 3rd and onwards minute of the same call. All STD Calls to Maharashtra-Goa (except BSNL) will be charged at 50p and other states at 75p/minute. Local SMS will cost 25p for MTNL and 50p for all other network.National SMS will charged at Rs.1 and International SMS cost Rs.2.50. Voice and Video Calls to MTNL Mumbai and Delhi (Dolphin – Trump, Garuda and Landline ) 1st Minute- 30p/min. Calls to Other Mumbai Local networks and BSNL Maharashtra and Goa. 1st Minute- 50p/min. STD Calls to Other NW (except BSNL) in Maharashtra and Goa. hi , this is a very old thread but i had a query about this pack. will this pack work in maharashtra as well, or only in mumbai. 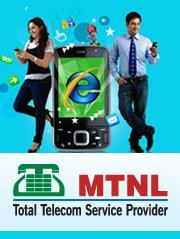 since MTNL has tie up with BSNL to provide local rates in all of maharashtra. please inform if someone has this information.